I just ordered my retrostone will arrive soon and I do not know what software download, take the official (RetrorangePi 4.2 Full) or the image (supreme retrostone) used by all youtuber. I like the retrostone to play with joysticks with friends on my TV, which is the most stable and the most suitable for my use? I have tried both versions and if I'm honest, the custom made version for Retrostone is the best. When the device came, I hated it so much because it was really buggy. I'm not saying it isn't buggy anymore, but I've managed to work around some issues and right now I'm happy with what I've got. 1. Make sure you charge your device to full before you start setting it up. Mine took 2 days to fully charge on the first cycle, after which is it approximately 6 hours. The reason why I'm saying this is because when you have low power, you may encounter weird behaviour such as screen flickering, dying out, unable to read SD card etc. I've also found that the low power light comes up way too late, you only have less than a minute before it starts flickering and eventually dies before you even manage to save the game, and wait for it to shut down. This, of course, may cause your SD card to get corrupted due to improper shutdown, so always make sure you have a good amount of battery charged up. Perhaps a newer version of RS will include better battery monitoring and low battery indication. 2. 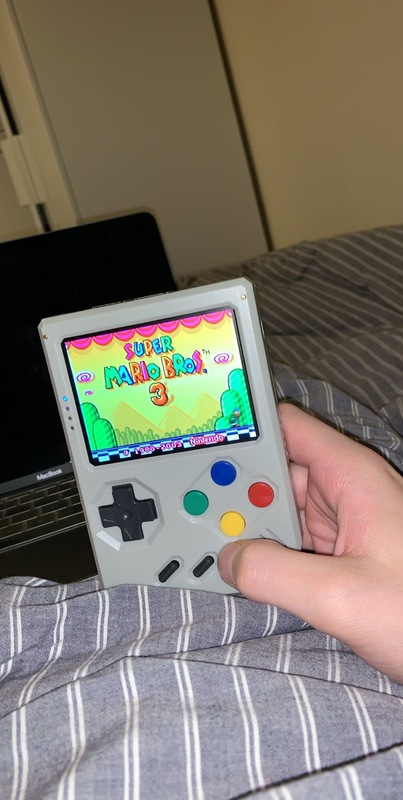 Buttons on each emulator are mapped differently, for Gameboy it might be A as opposed to B in GBA for the same functionality, so you have to work your way around those. 3. The display is blurry and unreadable. Just download a TFT or GBZ theme. It's a shame really because the feel and quality of it are absolutely wonderful. I'm loving the size and the matte finish. 4. Never leave plugged in USB devices or ETHERNET whilst booting up. It's caused me so many headaches, even if it is just a simple usb mouse receiver. I certainly think this is an area to be worked on by the creator. 5. When you load roms, do a full restart and not just RetroOrange EmulationStation restart. Otherwise, your emulators will just crash. I have no idea why this happens. Certainly another area to be worked on. 6. The Gameboy emulator does not come up even after placing .gb roms in the gb folder? It's simple, just cram it with loads of .gb roms, restart and it will come up. Then you can clean the folder and leave only 1 rom if you want. Again, no idea why this happens. 7. Screen settings for best color/brightness? I personally use brightness to 25, contrast to 12 and color to 40. 9. If you're getting lots of white lines whilst loading up the system saying there was an error reading a specific system file, then make sure your device is fully charged. For some reason, when there's low power the graphic environment cannot load and I get white line text with lots of reading data errors. No idea why? 10. I use a ravpower 3.0 fast charger. I know it isn't compatible for fast charging with this device, but the charger has automatic output detection and I found it charges it very well and fast in comparison to other chargers. 11. When you are loading the desktop environment, connect any usbs after the environment has finished loading, otherwise your device might freeze and I did damage the SD like this once. No idea why this happens. 12. Saving functionality is OK but not great. It's super annoying when you have to press 2 buttons and by default, the only saving method is to keep a log for only 1 state. Most other consoles have a complete set of opions external from those of the rom, allowing the user to save, load, erase and transfer logs/saves. Would be nice if RS could have this too. Overall I think the supreme is the best OS, it's less buggy but not free from bugs. I think there are LOADS of things to be done to the software and it must be much more personalised for the RS. 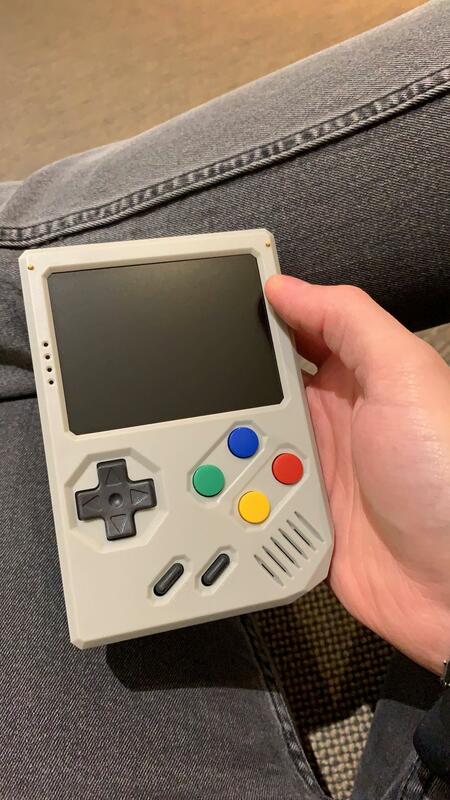 I think a custom OS similar to gameshell would be a lot better but then again, the creator might not have the capabilities to work on that. Overall it's a great little console and emulators work great most of the time. The main downside is how careful you have to be not to f**k things up because you'll be at square one having to format your SD and do everything again That being said, I'd never let my niece play on it because i'd be scared a child will be more careful than I am. Thanks for the detailed review. I'd recommend making a backup of your final build. If someone screws it up, just restore it. I made one of my 64GB build, because it did corrupt and I had to rebuild it from the supreme 1.3 image. I've expanded it to a 128GB card, but I'm still tweaking it. I need to make one more backup. Nice device indeed. I'm waiting on a gameshell to compare it to my retrostone.